Learn more about loss of enjoyment of life and how you can receive compensation for it in a medical malpractice lawsuit. In a medical malpractice lawsuit, the definition of loss of enjoyment of life is plaintiff’s loss of ability to enjoy life because of their injuries. It is a non-economic damage, meaning it does not lend itself to an absolute dollar value. However, you still deserve to be compensated for it, and a medical malpractice lawyer can help. If you suffered harm because of a doctor or healthcare provider’s negligence, you could be eligible to recover compensation for a number of losses related to your injury. One of these is the loss of enjoyment of life. You deserve compensation for your inability to experience life as you did before the injuries. A lawyer from Medical Malpractice Help can help you build a strong case. For a free case evaluation, call us at 855-633-2757. Many injuries can cause you to lose your enjoyment of life in some way. This loss is highly prevalent in medical malpractice situations, as these cases often involve severe injuries that significantly reduce a person’s functional capacity. If your injury takes away your ability to walk, run, see, hear, hike, play sports, work out, or do any number of activities you once enjoyed, you deserve to be compensated for this loss of life’s enjoyments. Your medical malpractice compensation depends on a number of factors, including the state where the malpractice occurred and the severity of your injury. Unlike financial losses such as medical bills and lost income, loss of enjoyment of life is difficult to quantify in dollar terms. Your attorney must be a little creative in assigning a dollar value to this loss. He or she has several ways to do so, but the two most common are the multiplier method and the per diem (day) method. With the multiplier method, your total economic losses get multiplied by a certain factor, such as three. With the per diem method, you receive a specific amount for each day you have incurred the loss. 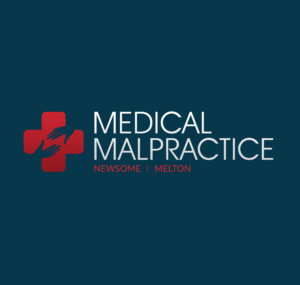 The medical malpractice lawyers at Newsome Melton can help you recover compensation for loss of enjoyment of life as well as other costs you have incurred because of your doctor or healthcare provider’s negligence. We offer a free initial case evaluation. Call us today at 855-633-2757.